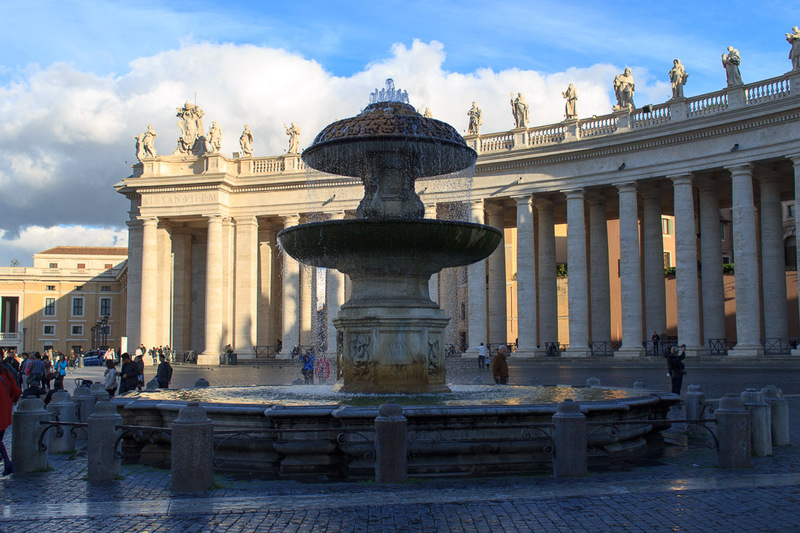 The Maderno Fountain is located where an earlier fountain, built in 1490, stood. 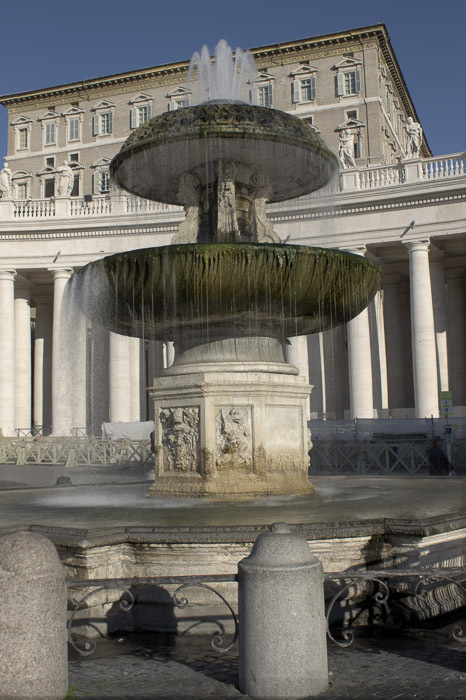 In 1612, the water flow was increased because of the rebuild of the Acqua Paola by Pope Paul V, so the architect Carlo Maderno, nephew of Domenico Fontana (designer of the Moses Fountain) was asked to redesign the fountain. He built a new octagonal base but kept the original large bowl from the old fountain, and made new ornamentation for the pedestal within it that held the upper smaller bowl. But he replaced that upper bowl with an inverted bowl or cap like a mushroom, covered with a pattern like scales made of stone. When water spouts from the top, it pours down on top of the cap and flows over the scales, down into the lower bowl, and overflows into the ground-level basin. See all Maderno Fountain photos.